FREE FREIGHT TO THE NEAREST COMMERCIAL ADDRESS OR UPS FREIGHT TERMINAL (Formerly Overnite Transport) TO YOUR LOCATION IN THE LOWER 48 STATES ONLY! 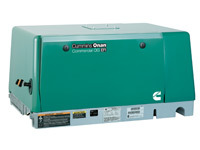 The Cummins Onan limited warranty covers virtually everything except routine maintenance for the first two years you own your generator set, or the first 2,000 hours of operation, whichever comes first. In addition, it includes a free 90-day adjustment policy, which provides that Cummins Inc. will make minor adjustments to your new generator set during the first three months you own it – free of charge! - All 60 Hz models operate at 1800 r/min. 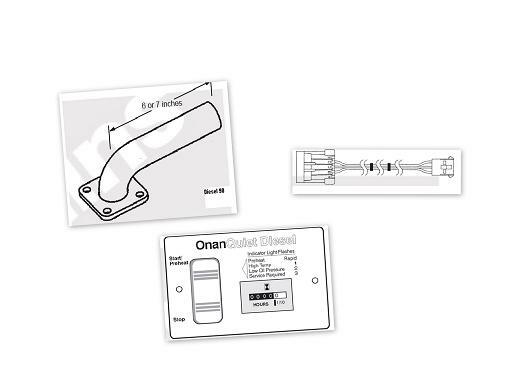 - Ratings apply up to 500 ft (152.4 m) altitude, 85 °F (29 °C) ambient with No. 2 diesel fuel. ambient temperature above 85 °F (29 °C). 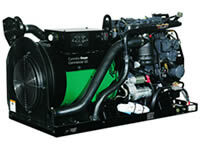 *DC compartment cooling fan supplied with generator set. This product was added to our catalog on 11/19/2012.